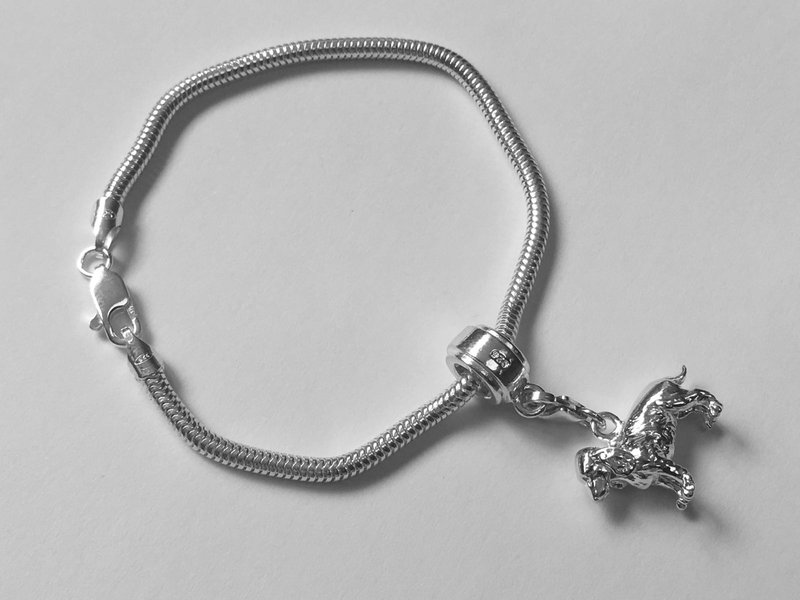 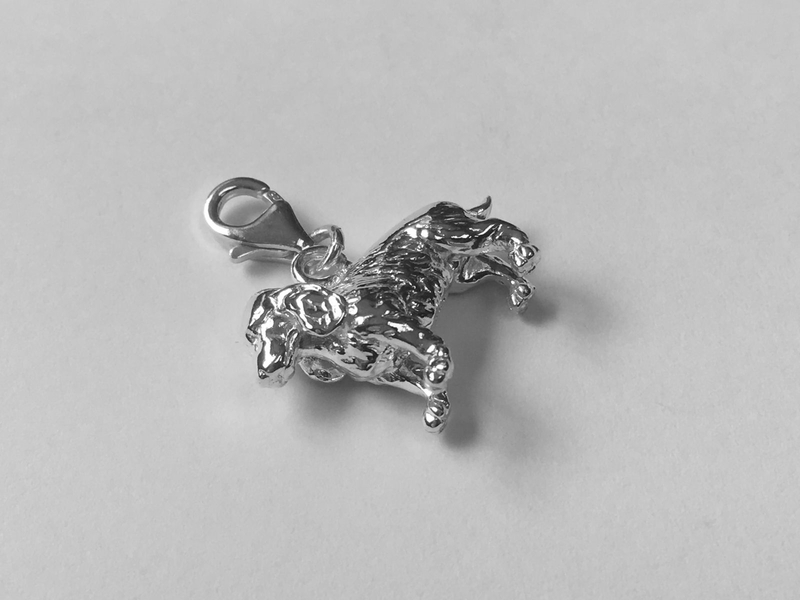 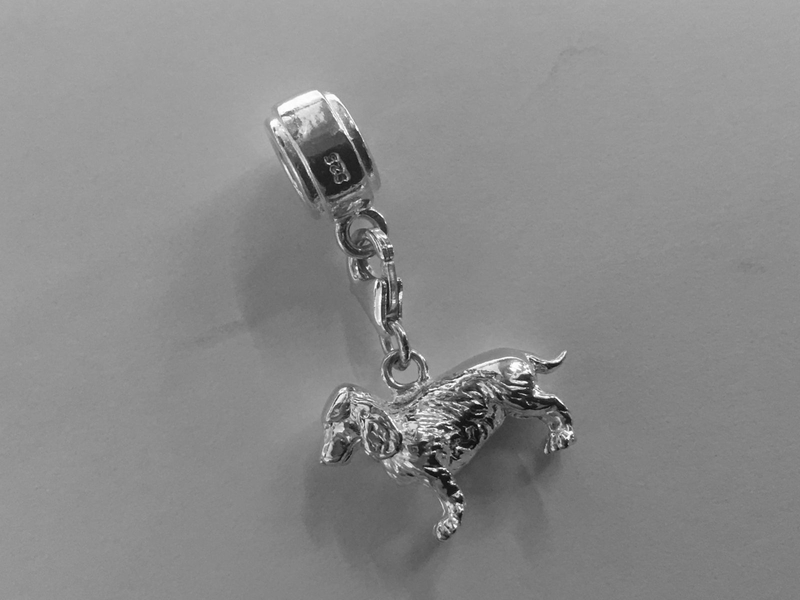 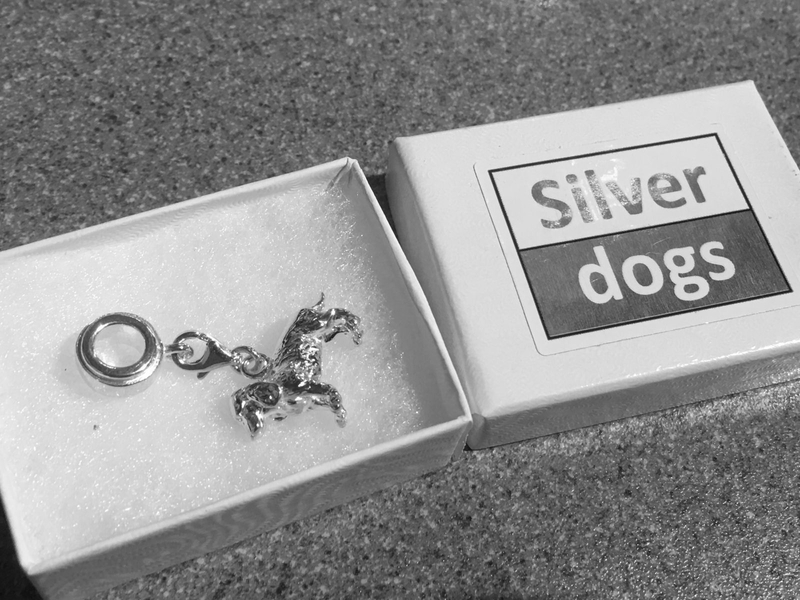 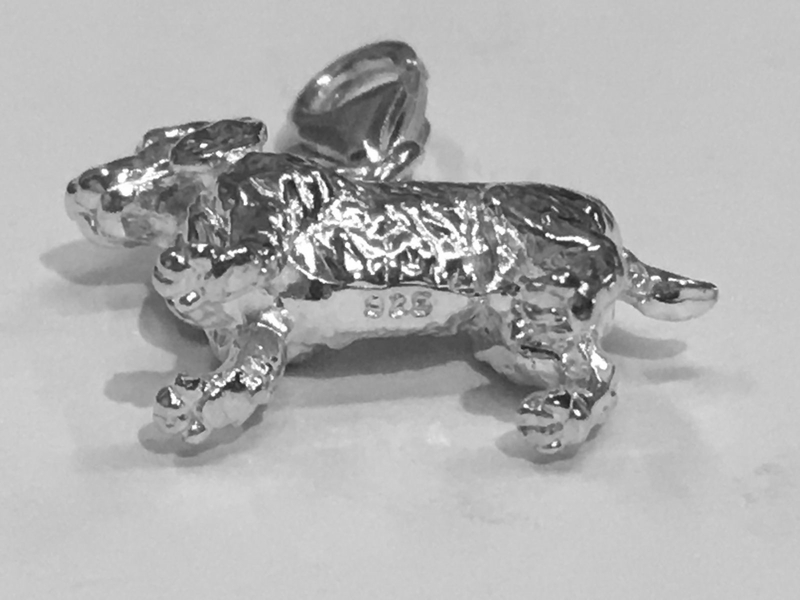 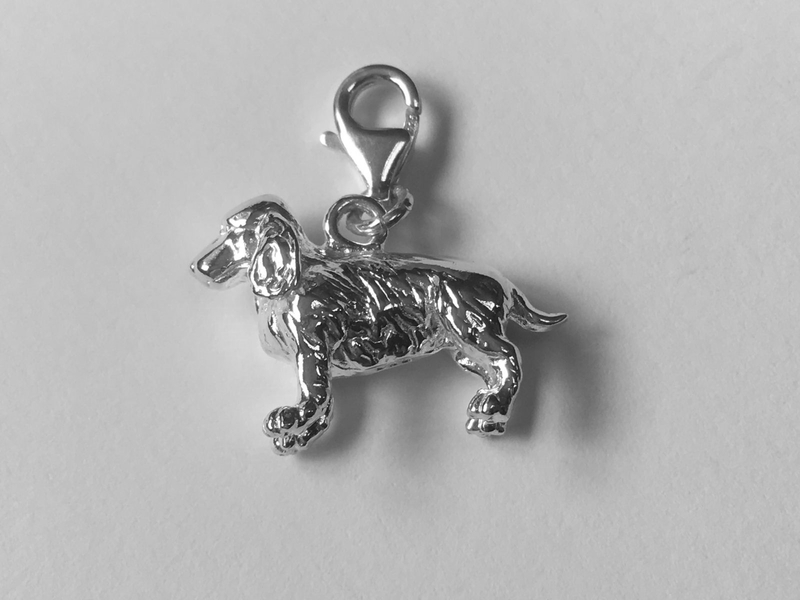 Our Cocker Spaniel charm is made in 925 Sterling Silver by our silversmiths in Birmingham, England. 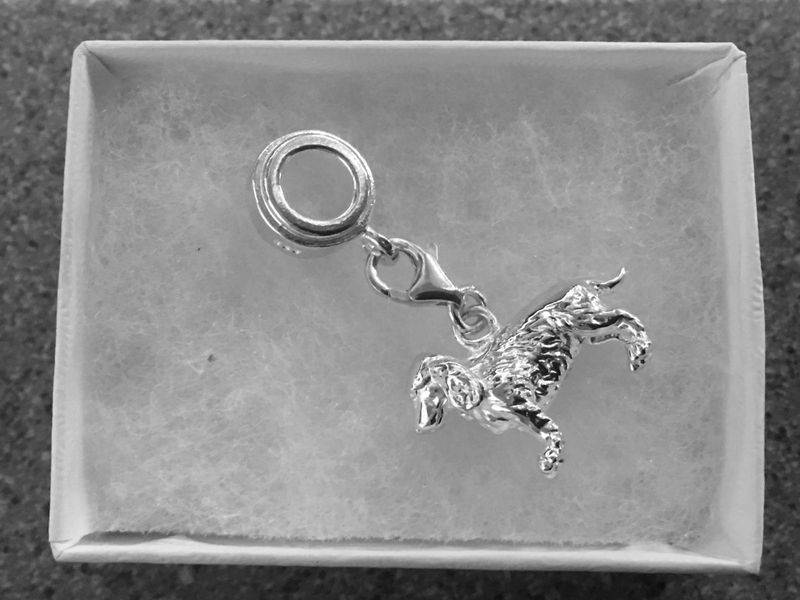 Created , polished and finished by hand, this exclusive design has been made by experts in their field. 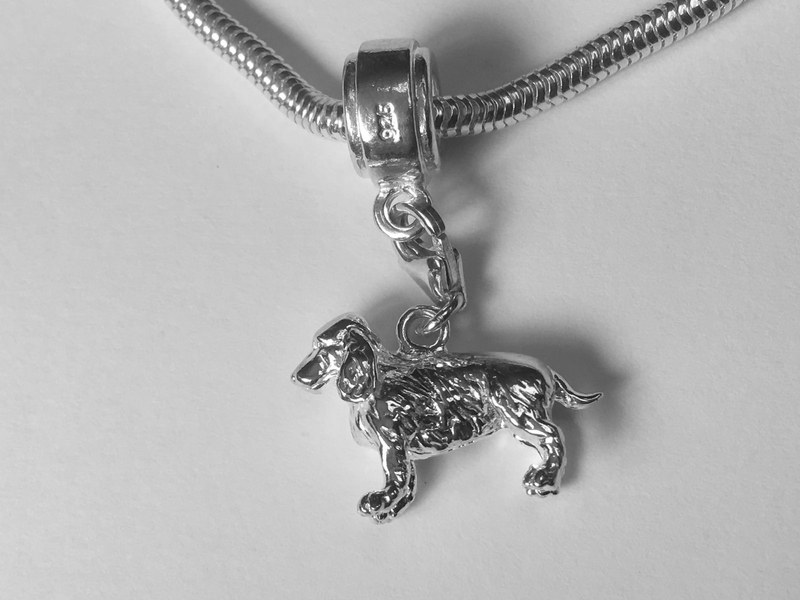 Designed by us in June 2018 this exclusive piece is superbly detailed to reflect this lovable breed . 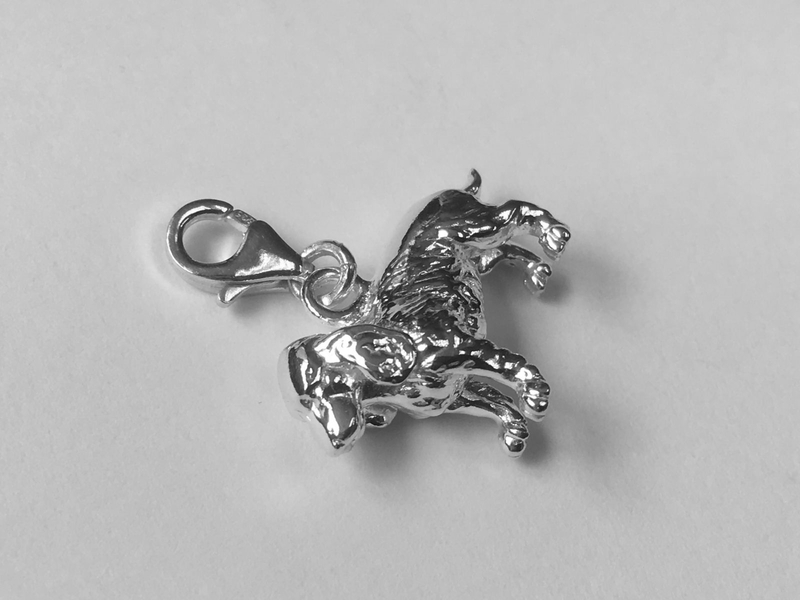 Fully Dimesional and 3D our Cocker Spaniel charm will be the talking point on your bracelet or pendant . 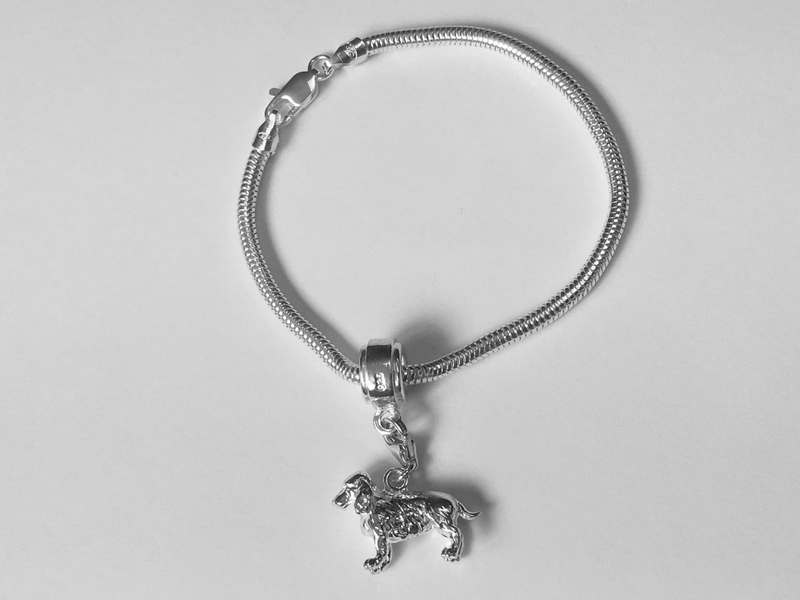 Ideal as a gift for an owner or a treat for yourself, why not put it on one of our beautiful Paw Print , bone link or snake bracelets.